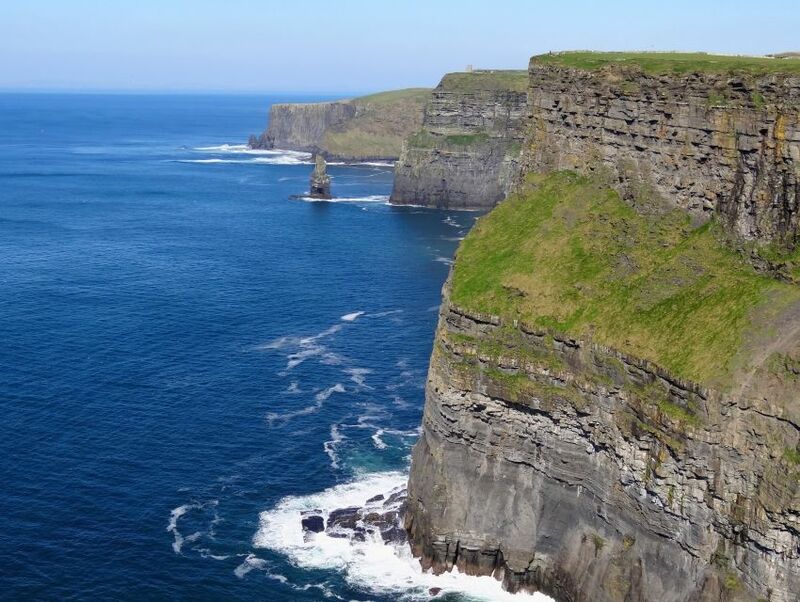 Rising 390 feet (120 meters) above the blue waters of the Atlantic, the Cliffs of Moher (or Mohair) are truly majestic. Carved out of sandstone and suspended between the ocean and sky, the vertical cliffs capture nature's raw energy and untamed spirit. Named for the old Moher fort that once stood on the southern end of the cliffs, this ancient rock face overlooks the Twelve Pins and Maumturks mountain ranges, Galway Bay dotted with the Aran Islands, and Loop Head. Located along the Wild Atlantic Way with the ocean crashing beneath and birds calling above, it's easy to believe that the Cliffs of Moher are at world's end.